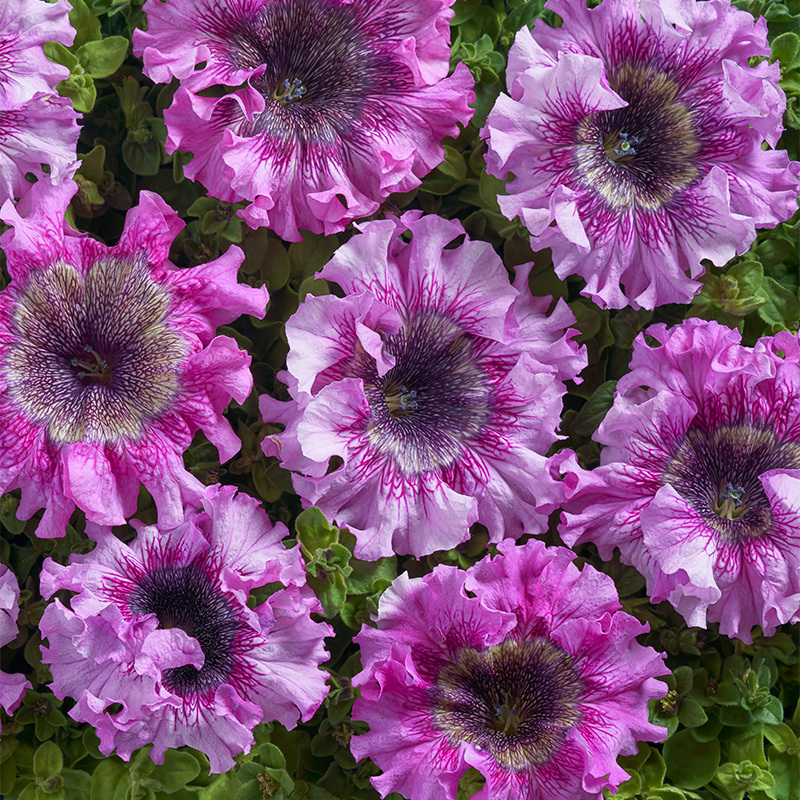 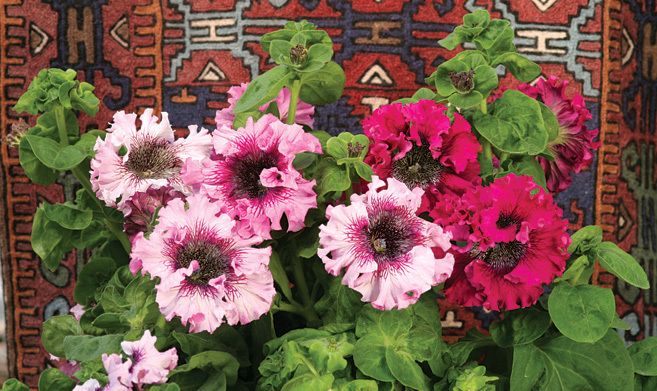 This group of varieties represents a speciality in our product range. 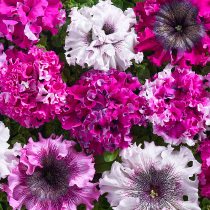 They are especially appreciated for their giant flowers of unusual colours, which are about 16 cm in diameter and have ruffled and frayed edges. 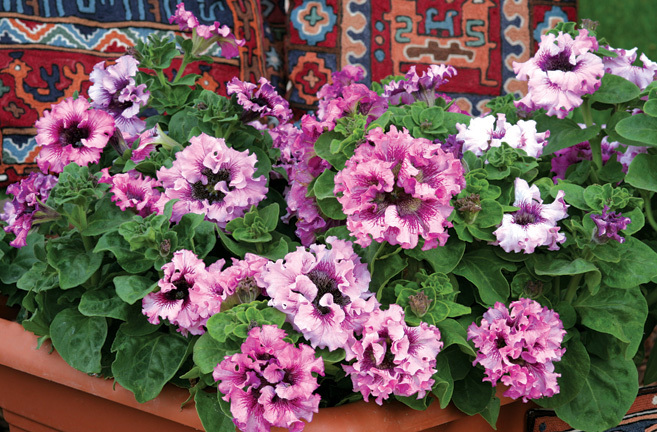 In contrast to usual diploid varieties these ones are tetraploid, which has an effect on their appearance and character. 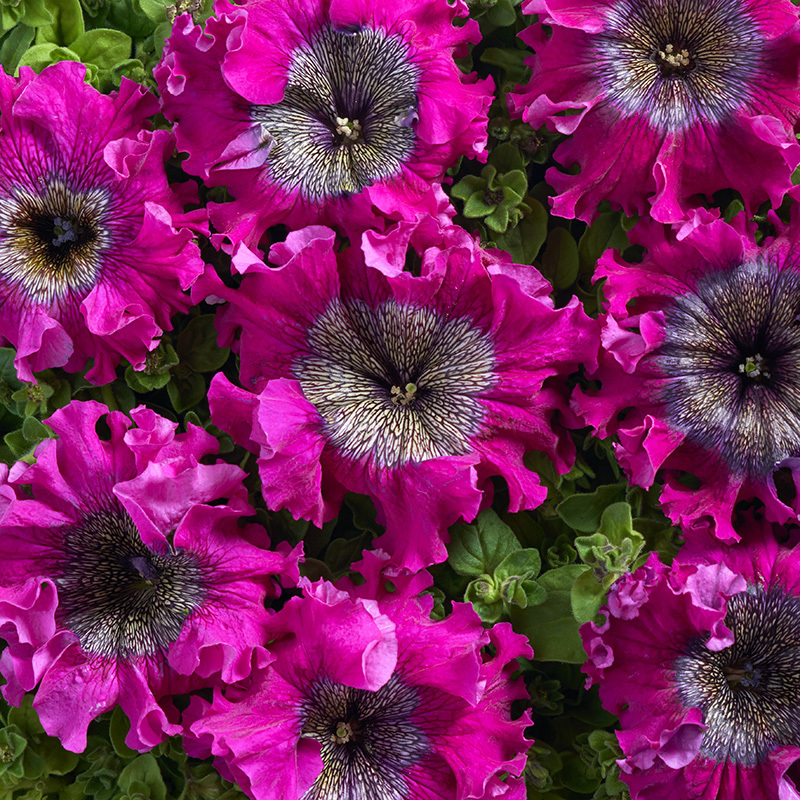 The plants are robust, high, weakly branched. 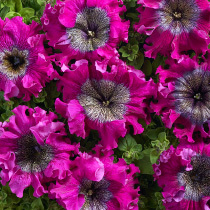 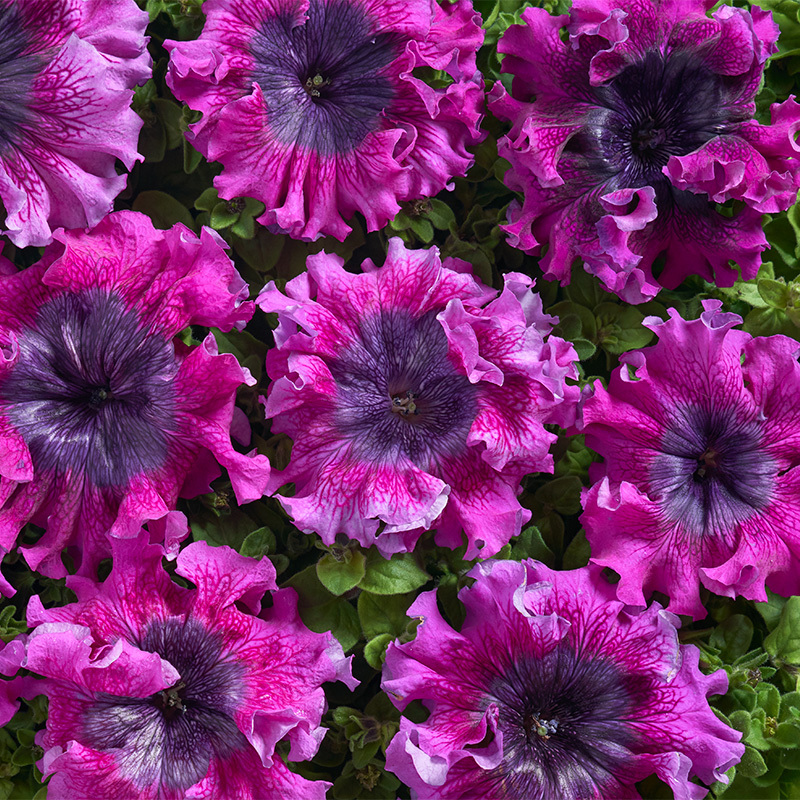 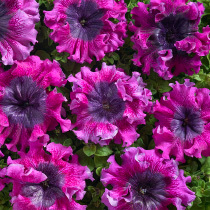 Especially suitable for flower boxes and containers but they can be used successfully as bedding plants as well. Pink and violet shades on a white background, parts of plants with double flowers and parts of plants with single flowers. 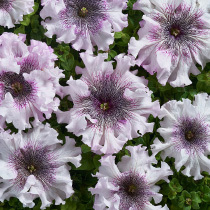 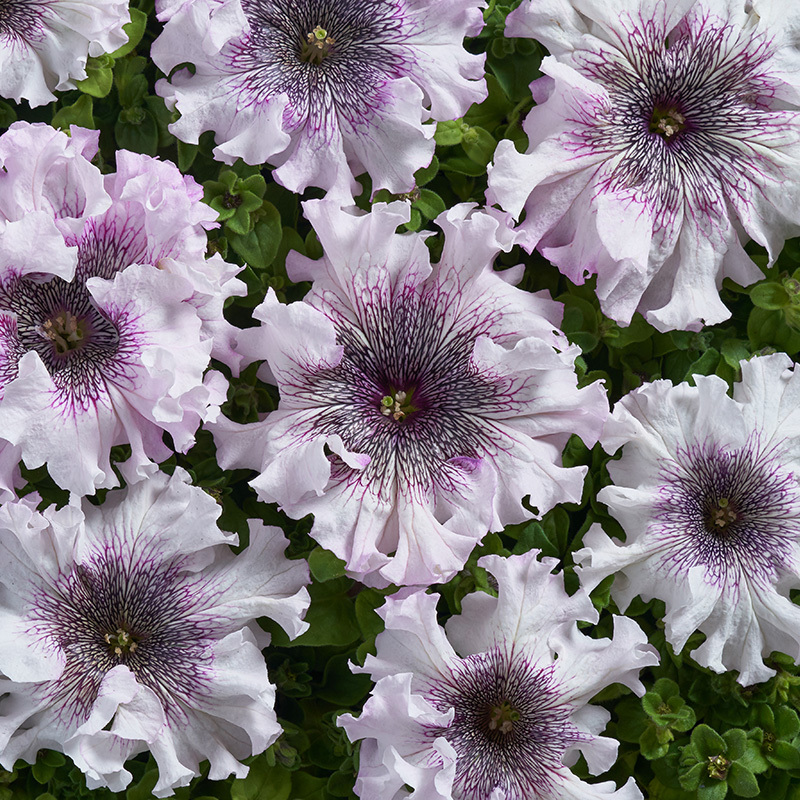 Free flowering, white ruffled flowers with dark veins in the throat, flowers become light purple under higher temperatures, plants are robust, vital, resistant to climatic conditions.